Crystal Wonder. A wonderful kit packed with exciting activities. Make crystals of all shapes, sizes and colors. 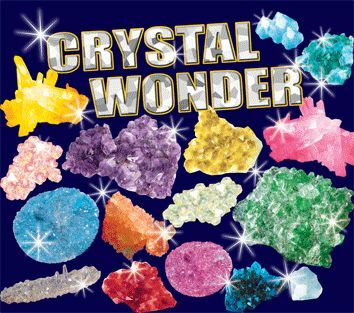 The kit includes 12 different colored salts, a display stand and al the equipment needed to produce crystals. Other activities include making jewelry, creating a crystal garden and decorative crystal gifts.